Let’s face it. The last thing you need is another IT headache. You’re already dealing with suppliers, demand, inventory, and the other complexities of running a successful manufacturing business. You need to know how your plant floor is operating at any given time to respond to fluctuations in markets or material availability so you can adjust production. But if you’re running multiple systems that don’t integrate or that are out of date, you won’t be able to get the information or insight you need. Thus, the pounding in your brain. Maintaining, installing, supporting, and upgrading multiple systems is expensive. In fact, Computer Economics reported that 70 percent of IT budgets are spent on ongoing support.1 Your systems should support your process automation and productivity initiatives—not burden your business. Eliminate this IT headache with cloud ERP. 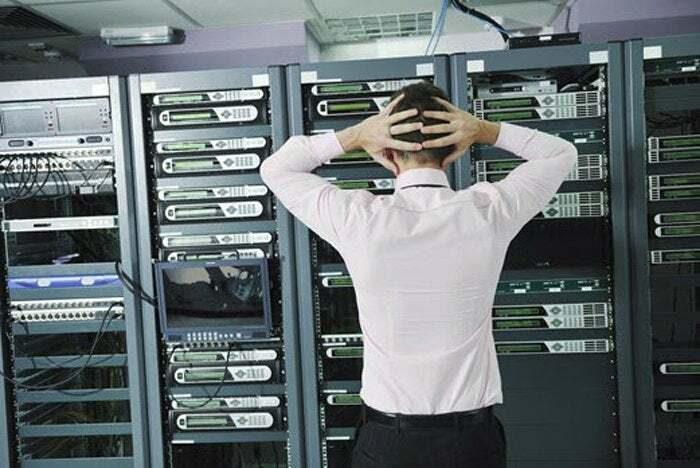 Since there is no software to install or maintain, it not only lowers your total cost of ownership but can also reduce your IT spend by as much as 15 percent.2 You can even expand to new locations quickly because there is no hardware or software to install; you can grow your business without additional investments. The inability to share or access data curtails the visibility and control you need. Manufacturing Enterprise Solutions Association (MESA) International found that 48 percent of manufacturers cite lack of collaboration across departments as a major challenge.3 When you can’t get an accurate view of what’s happening on your plant floor, it’s difficult to make informed decisions about how to optimize production or deal with problems. With one version of the truth, you can get rid of this headache once and for all. Cloud ERP software makes it much easier to share and integrate data (2.3 times more likely).4 By eliminating data silos, everyone in the enterprise gets the visibility they need to be more productive and efficient. Find out why cloud ERP saves manufacturers from losing value and wasting time: 5 Reasons to Avoid Revision Prison. 1. IT Spending and Staffing Benchmarks: Discrete Manufacturing, Computer Economics, 2014-2015. 2. The Economic and Strategic Benefits of Cloud Computing, Computer Electronics, February 2014. 3. Manufacturing Metrics that Really Matter, MESA International and LNS Research, April 2014. 4. The Unified Manufacturing Environment, Aberdeen Group, April 2015.